Cabbage is a very ambitious plant. It confidently unfurls leaves that will grow larger each day until they are the size of your head. Meanwhile the days grow colder and you feel it should be focusing on its real purpose, its own head…of cabbage. Instead, it devotes so much energy to these big outer cabbagey leaves like it has all the time in the world. It feels like the main event will never happen. Well, we just can’t wait that long, and you don’t have to either. This weekend I got a preview of the dinner-plate sized cabbage leaves that will be in our share. Sautéed for a few minutes in this dish, you’ll find the leaves to be a more tender version of cabbage. Any one who knows cole slaw knows that cabbage loves sweet and sour. I think you’ll find this recipe plays on that with rice vinegar and a sprinkle of sugar. Pull the big center stem out of the cabbage leaves as you would do with kale. 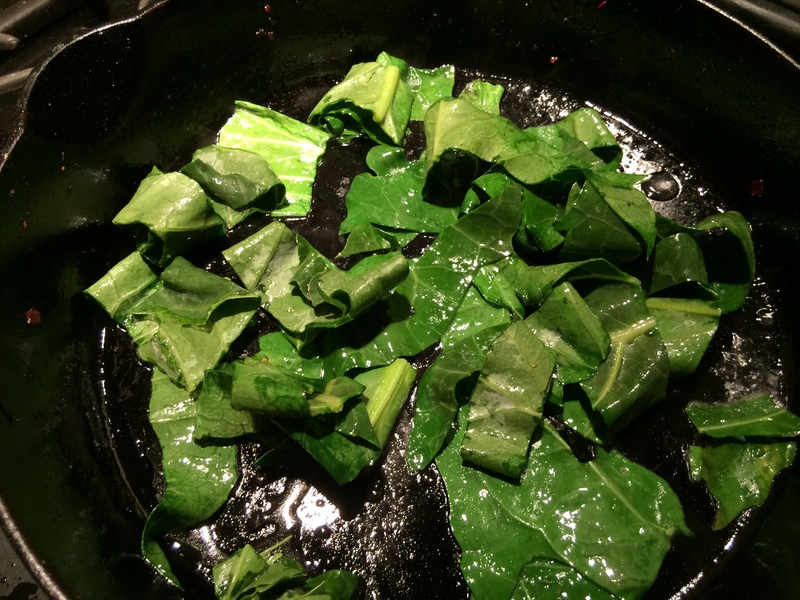 Chop the rinsed and still wet leaves in large strips; sauté in sesame oil over medium-high heat. 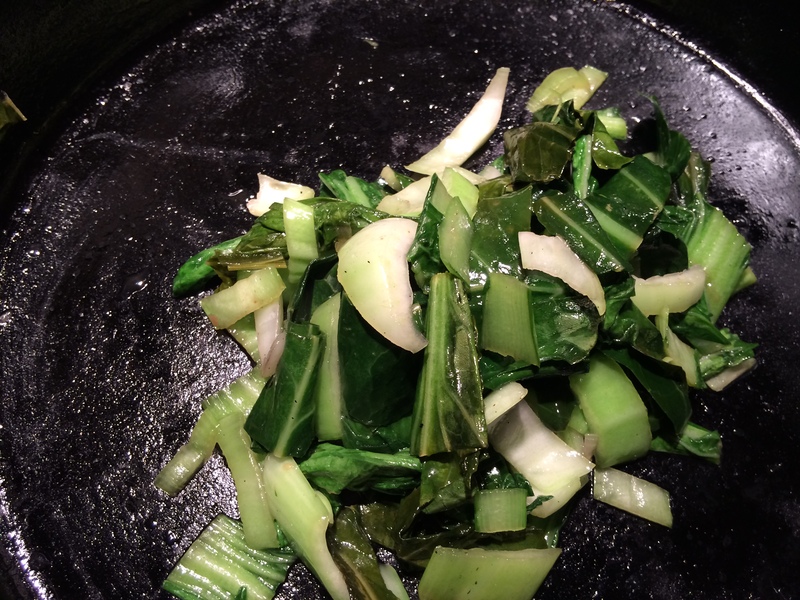 After leaves begin to wilt in 2 to 3 minutes, add the rinsed and chopped bok choy (stems and leaves). 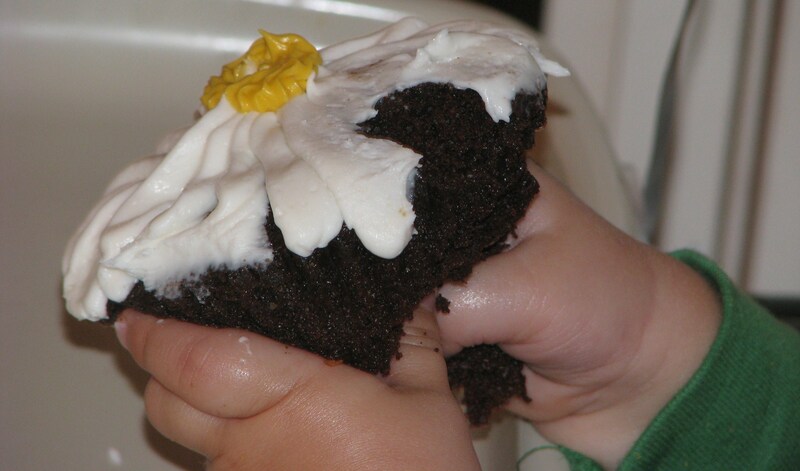 Sprinkle with the vinegar, salt and sugar. Stir for another 2 to 3 minutes until all greens are tender.